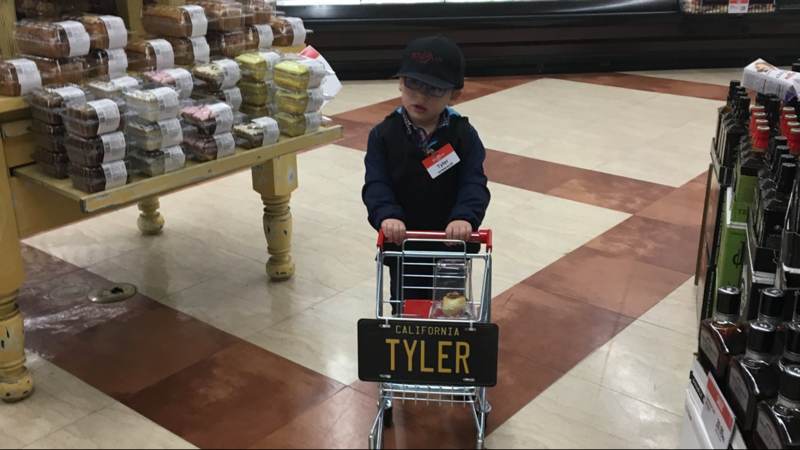 The 3-year-old and grocery-store obsessed Tyler Richards' wish came true. 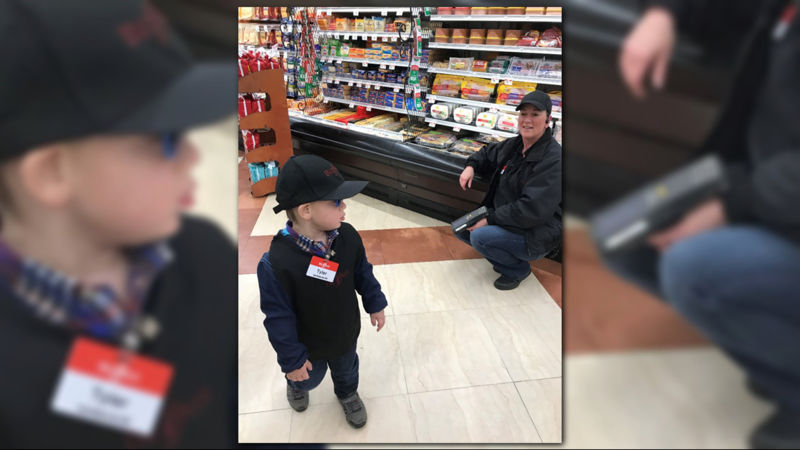 ELK GROVE, Calif. — Going to the grocery store may seem like a tedious task most of us have to do on a regular basis, but for 3-year-old Tyler Richards, the errand is an adventure. 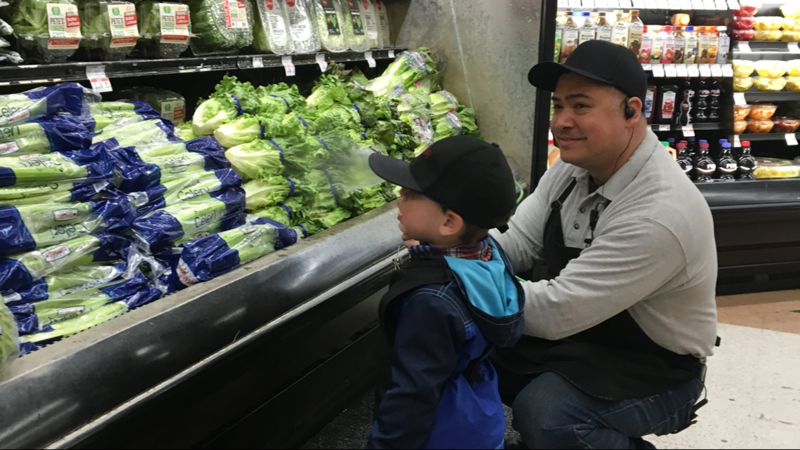 The West Sacramento boy has an inexplicable love of grocery stores. 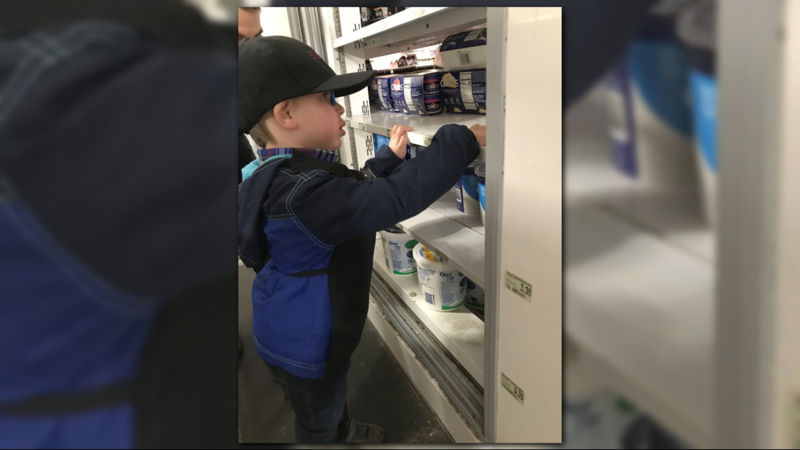 Recently, Tyler's mom, Katie Richards, reached out to a local Bel Air to ask if her son could have a behind-the-scenes tour of the market. She explained that Tyler was recently been diagnosed with an inoperable brain tumor. 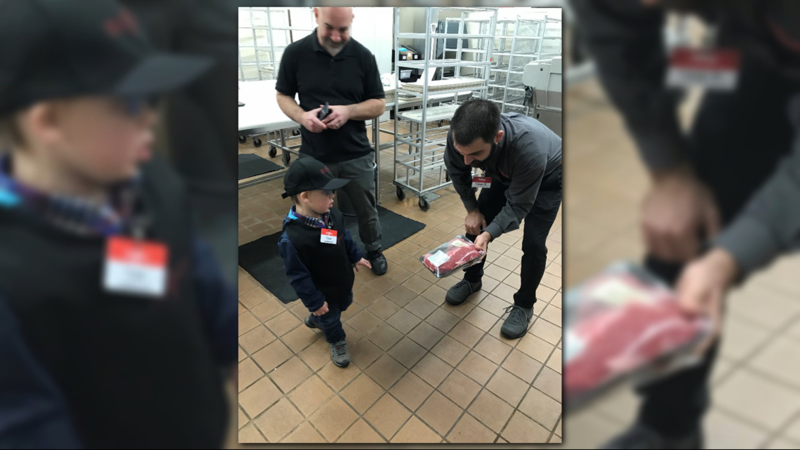 When the Elk Grove Bel Air on Waterman Road heard Tyler's story, they immediately agreed to give Tyler a tour - and then some. “Boy oh boy, it was above our dreams! It was amazing," Katie said. 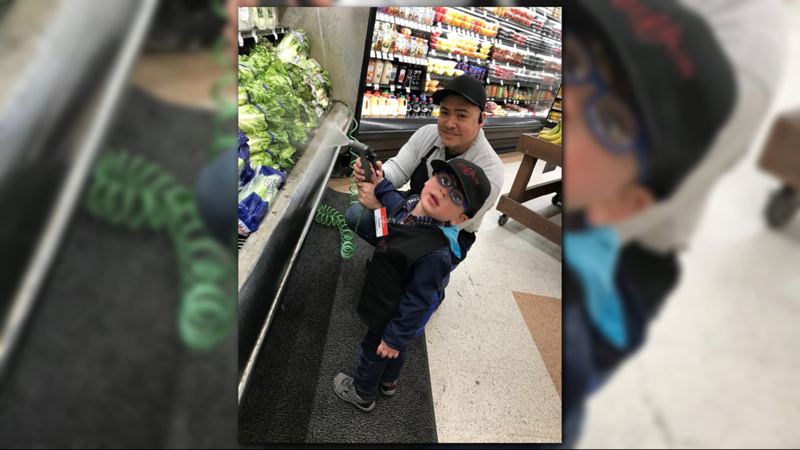 The grocery store not only gave Tyler that personal tour, but employees also banded together to purchase the boy his own personalized shopping cart, fund his very own shopping spree and named him "Employee of the Day." He even got his very own Bel Air hat, apron and name tag - all to keep. “It made me think, 'Wow, there are so many good people out there,'" Katie said. 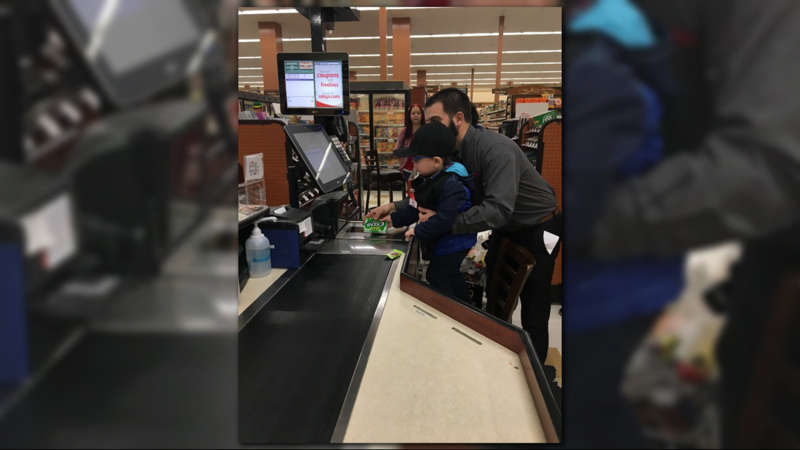 According to the store, Tyler used his shopping spree to buy things for his mom (coffee), dad (oranges), 5-year-old brother Nicolas and one-year-old sister Avery (fruit roll-ups), grandpa (pistachios) and one of the store's employees (deodorant), for which the other store employees thanked him. “He was very generous. He made sure to get something for each one of us," Katie said. 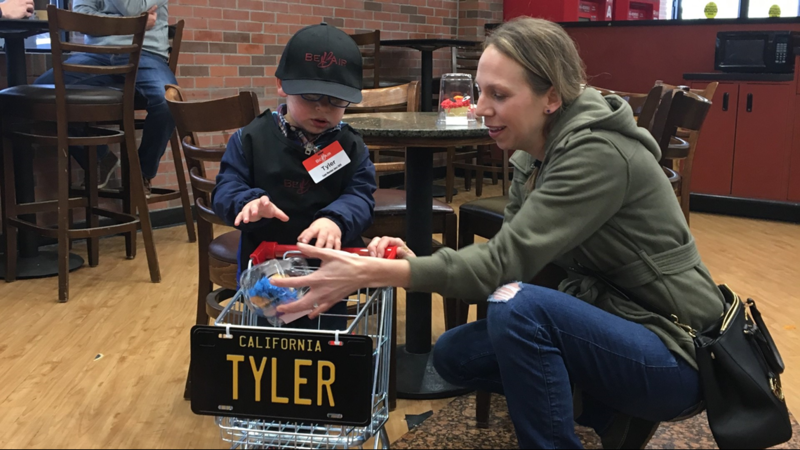 Tyler and his mom go through the items in his custom shopping cart. Tyler proves why he is 'Employee of the Day.' Helping behind the scenes at Elk Grove Bel Air on Waterman Road. Tyler stands in the middle of his personal behind-the-scenes tour. A Bel Air employee helps Tyler ring up a few items. 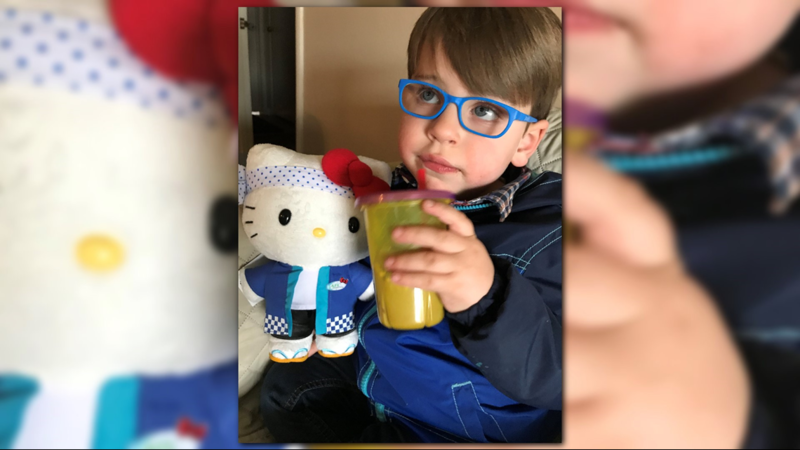 Tyler enjoys a nice drink after a long day's work, alongside the Hello Kitty doll he was given from the Bel Air sushi counter. 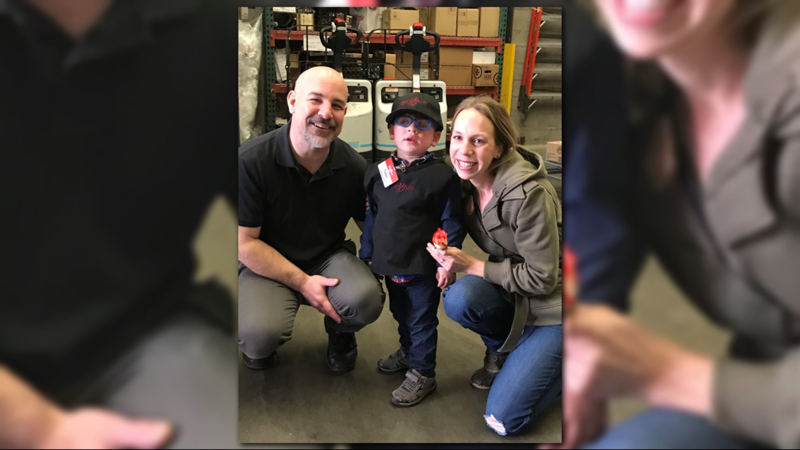 Tyler's parents Ronnie and Katie Richards smile with their son, proud of the 3-year-old Bel Air Employee of the Day. Tyler keeps an eye on the other employees, making sure they are getting things done. Tyler inspects the meat. Could be time to fire up the grill! 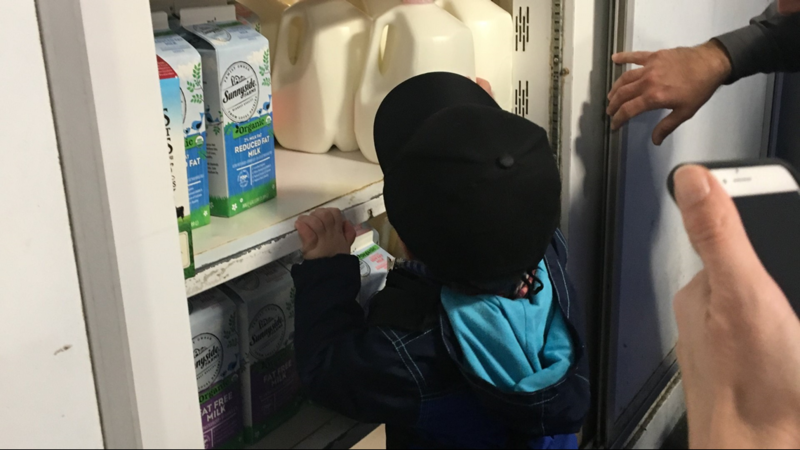 Milk is a staple in Tyler's home, and he knows where to find it in the store. 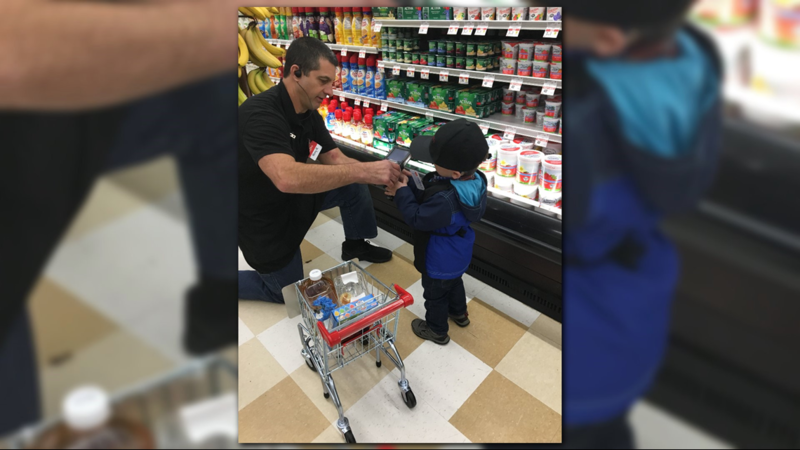 Tyler helps scan items, placing several things in his custom shopping cart. Tyler helps keep the veggies fresh. This Employee of the Day approves of Bel Air's fresh produce department. Tyler takes stock of what he needs to pick up while at the store. 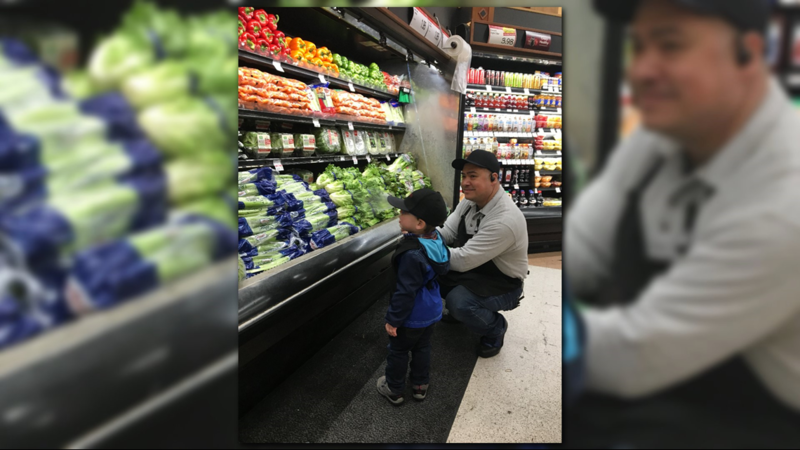 Tyler checks out the fresh veggies. 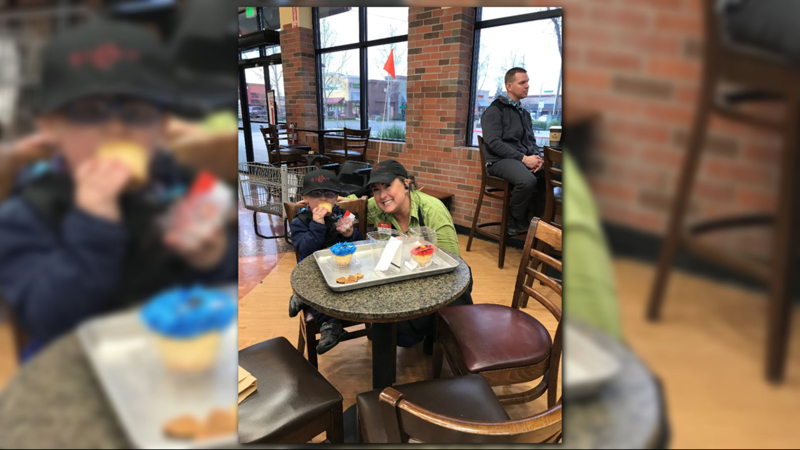 Tyler enjoys his lunch break, complete with cupcakes and company. He later shared some of the sweets with his siblings. Tyler takes a stroll around the store with his custom shopping cart. The Richards say they feel wrapped in love and support from the community. The Quick Quack Car Wash location opening soon on Lake Washington Boulevard in West Sacramento has 'adopted' the family, supporting them and including them in the upcoming grand opening festivities. Katie said an Elk Grove printing company has approached the family about making shirts. The Richards have been in touch with the Make-A-Wish Foundation. Katie first noticed symptoms in Tyler that concerned her when he was 11 months old. She said her baby would have tremors, his eyes would roll up into his head when he was picked up and that he didn't cry. 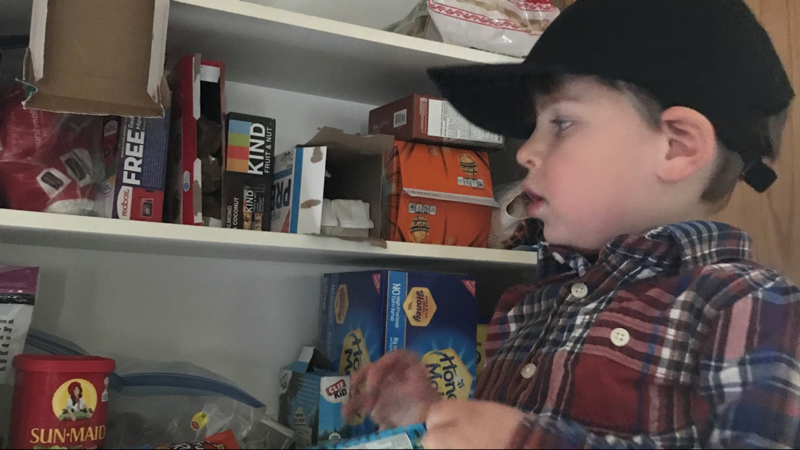 For nearly a year and a half, Katie and her husband Ronnie Richards asked medical professionals if their son should get an MRI, but she said they kept getting the same answer: "don't worry, Tyler will eventually catch up with his peers developmentally." Doctors ruled out autism. They ruled out seizures. The Richards knew in their gut that something was seriously wrong. 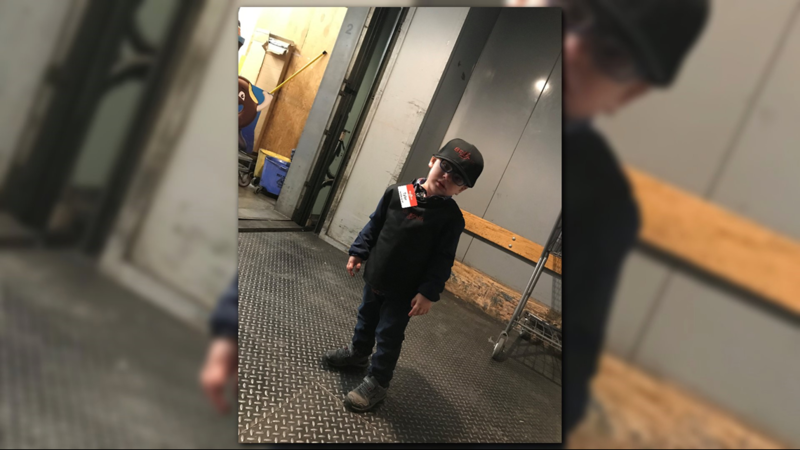 It wasn't until Tyler was two years old that he finally got an MRI on the suggestion of an Oakland neurologist last March. “The diagnosis, it came after a year of searching for answers and being told, ‘Oh, he’s going to catch up. It’s a delay. It’s a global delay'," Katie said. That MRI revealed Tyler had a tumor that twisted itself through his brain. He's since been diagnosed with ganglioglioma, a rare form of brain tumor. By then the tumor had become inoperable, meaning Tyler will likely not survive, barring a breakthrough, experimental medication and procedures. They know the past can't be changed, but they wonder whether an MRI when they first asked a doctor for one would have meant the difference between operable and inoperable. “If we would’ve found this when we thought so, at one to two years ago — it could’ve been way smaller," Katie said. While Tyler's condition has not gone downhill since his diagnosis, his parents know that difficult times lie ahead. That's why they're focusing on savoring every moment they have together. Since his diagnosis, the family has "met so many wonderful, wonderful organizations, charities, foundations," Katie said, including Keaton's Child Cancer Alliance, based out of Roseville. For now, Tyler is happy and stable, playing with his siblings and participating in physical and cognitive therapy. Because his tumor has not grown, he is not yet taking chemotherapy. “We’ve learned, live moment to moment and there’s no time like the present," Katie added. You can follow Tyler's journey on Facebook. If you're viewing on the ABC10 App, tap here for multimedia. All senior students with special needs were celebrated as Kings and Queens at this special prom.